This polar vortex is turning me into an agoraphobic (that's when you don't go outside, right?). It almost seems like there's just no reason to even change out of my pajamas - ever. But of course, for my family's sake, I do. Plus, one of these days I will have to go back to work and not have snow cold days. So while I'm snuggled up on the couch with a blanket, a cup of coffee, and wearing my PJ's, I thought I'd share what we are doing in math lately. But I also stress out about teaching math to my little firsties. Having taught 3rd and 4th grade for 10 years, I KNOW where these little kiddos will be going in the next couple years. I had some students who struggled so much with math by the time they got to 3rd grade and it broke my heart to see how difficult it was for them. I feel like it's now my job, as a first grade teacher, to be sure NONE of my students will struggle with math in 3rd grade or ever. Obviously this is setting the bar pretty high, and is probably not possible. I just think that the foundation of mathematical understanding and number sense is so so SO important and I need to be sure I am preparing my students for what is to come with common core and testing and life. So here we are, half way through the school year and I start to freak out a little bit. I am assessing like crazy to be sure that the kids are where I feel that they need to be in order to reach the standards by the end of the year. We've been reviewing addition through 20 with two and three addends. 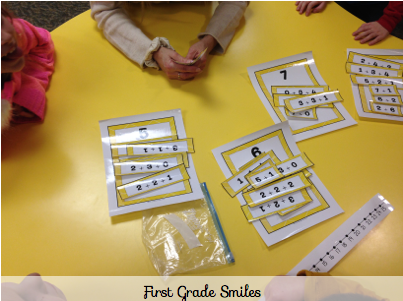 This is just one example of one of my Common Core Math Centers (Set 2). 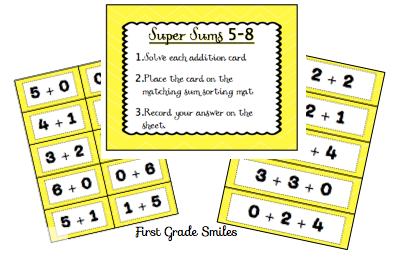 I have Super Sums centers all like this to go through sums of 20. I expect this to be review for the kids at this point in the year, so if I see kiddos still struggling with these then that is a huge red flag for me. Rewind, reteach, and provide intervention! Then we took a good amount of time talking about subtraction and how it is the same and different from addition. We made this anchor chart together and they cam up with just about everything on this chart on their own. That was a good sign for me. 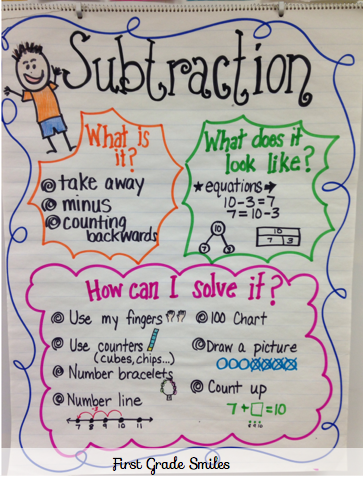 It seemed like the class had a decent grasp of subtraction, which of course can be a more difficult concept. We've practicing our subtraction with centers like Dazzling Differences. I also have these through 20 and we use and reuse these different center all the time. I've been doing a guided math approach this year so these centers have been part of our rotation while I work with small groups of students. I don't think I will ever teach math a different way. It is so helpful for me to keep track of my students' progress and so great to have students really focus on what we're learning. We are now moving into more difficult concepts like missing addends and true/false equations. 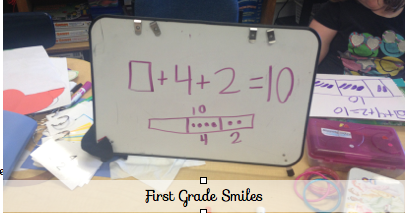 Here is a quick example of what we were doing in my small group to help practice missing addends. We draw the model to represent the parts and the whole. 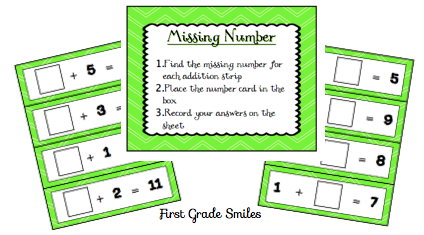 Then I have students count how many they have and count up to find the missing addend. Nothing fancy, but it does the trick. This is just one center that can be used to practice one part of this. 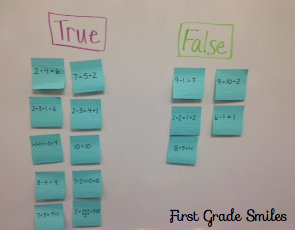 I am in the process of making another set of Common Core Math Centers that would include true/false equations. 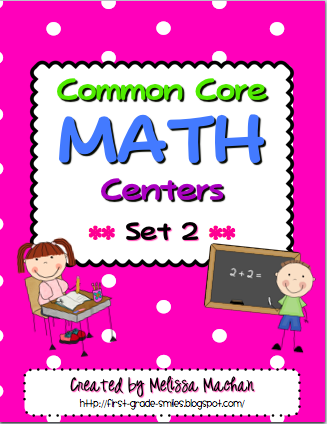 If you are interested in these centers (there are tons more in this pack including a bunch that review place value), click on the cover below. 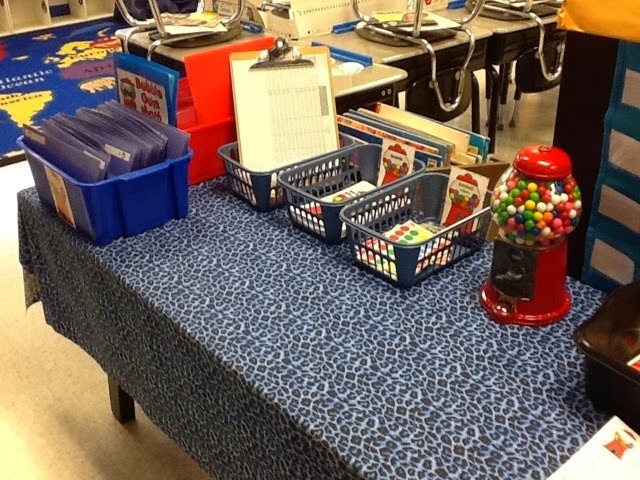 I've also been on the hunt for a good system for achieving math fact fluency and I think I've found it!!! Click on the picture below to go to a post by Julie at First Grade Critter Cafe. She wrote a great post explaining Bubble Gum Math (a product by Fluttering through First Grade). It is suuuuuper cute and I think kids would love this! That's right - I said it - they would love taking timed tests and learning their math facts. Genius! I can't wait to try this out in my room. Finally, just a few shout outs . 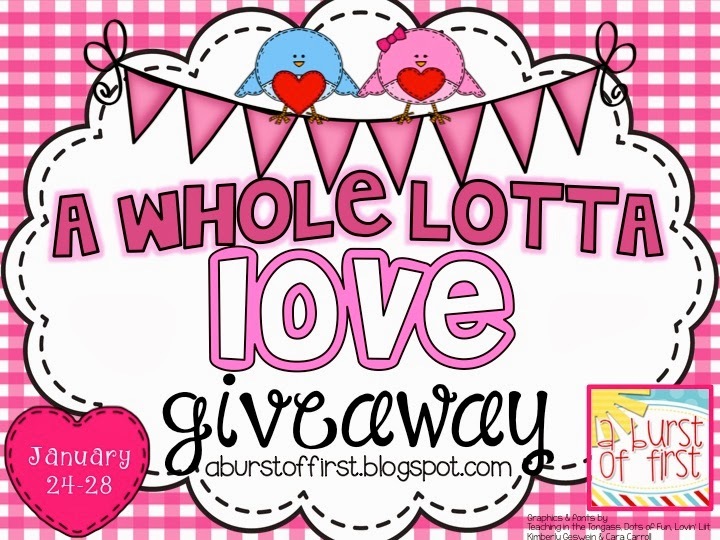 . .
A Burst of First is having an awesome giveaway. You can win my Valentine's Day pack among many other awesome prizes. Check it out!! 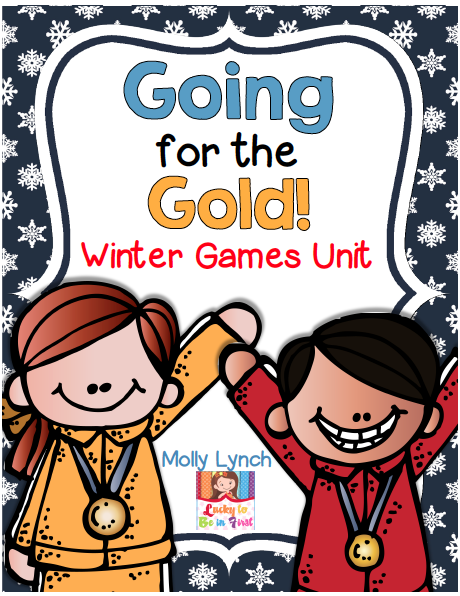 Also, did you hear that the Winter Olympics are this year??? 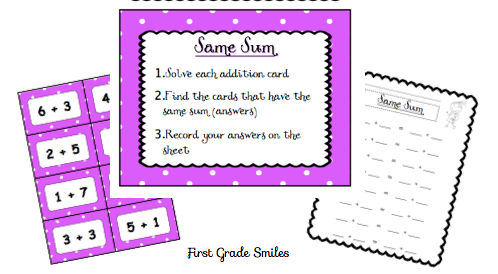 Well, my friend Molly at Lucky to be in First has made this ridiculously awesome pack of math and literacy games to tie into it. You have GOT TO check this one out. 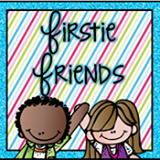 And last but not least ----- a bunch of blogging buddies and I have started a new collaborative Facebook page called Firstie Friends. We would love if you would follow us. 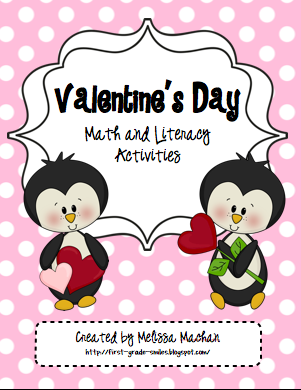 There are over 80 different first grade teachers working together on this one so you are sure to get tons of great ideas, freebies, and more!